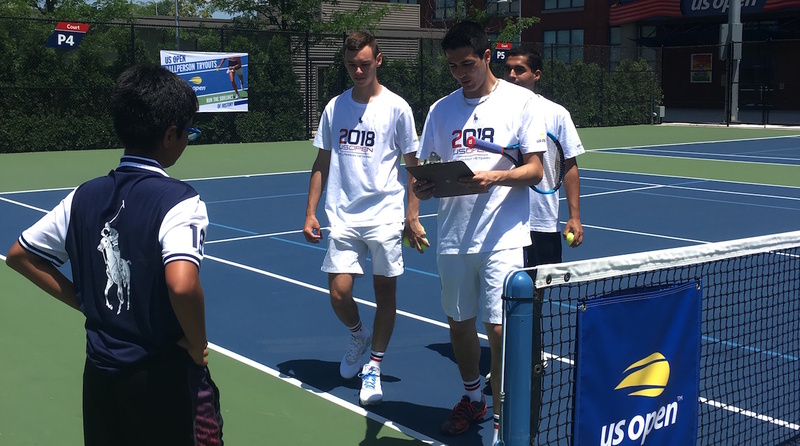 With the U.S. Open coming up in August, the USTA recently held its annual ballperson tryouts for the tournament. Hundreds of tennis fans came out to the Billie Jean King Tennis Center to apply for what could be the best summer job ever. The USTA also invited members of the media to “try out” to see what it’s like to be a ballperson. All I can say is that while it looks easy on TV, it is so much harder in real life. 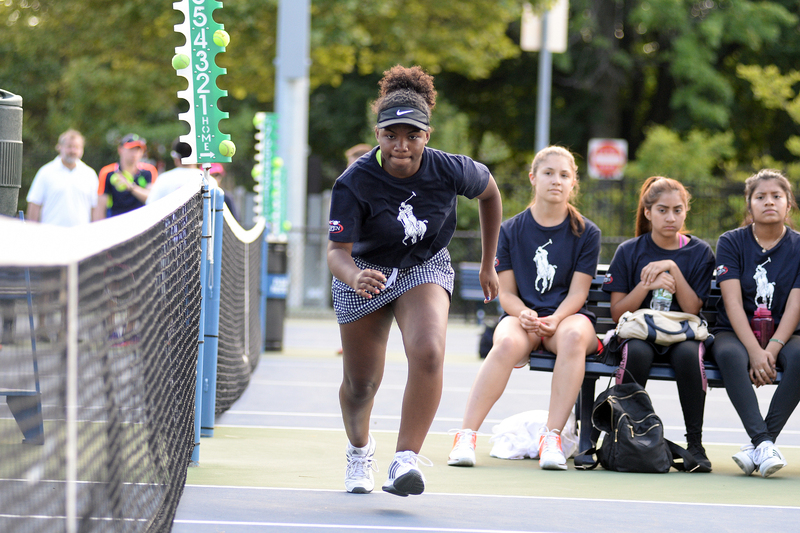 During my tryout, current ball boys and ball girls coached us on the various aspects of what it takes to be a ballperson at a Grand Slam event. I was amazed and surprised at the skill and concentration it takes to do the job correctly. It’s not just running back and forth on the court; you have to follow specific techniques and rules. For example, they explained to us how a ballperson knows when to go to the other side of the court or back to his or her starting position. It’s about where the ball lands in relation to the service line, the line that splits the court in half by length. I also learned that you must use two hands to pick up the ball, and when you get to either your starting spot, the other side of the court, or the baseline, you must stand with your hands behind your back so that you do not distract the player who is about to serve. The best tip I got: Don’t run into a player! However, even rolling the ball is not an easy task. As much as I found this hard to believe before the tryout, rolling takes skill as well, as there is a form you have to follow: Opposite knee from your dominant hand on the ground, and follow through with your hand. Again, not as easy as it looks on TV. I asked Taps about the main skills required to become a ballperson, and she listed “speed, agility, and stamina,” and most importantly, the ability to get the balls on and off the court as quickly as possible. As Fowler told me, “Honestly, if we aren’t noticed when we are running across the court, then that is a job well done.” The ultimate goal? Make the match run as smoothly as possible. My tryout took all of seven minutes, and I was completely gassed. I couldn’t imagine doing that for three hours, or for a five-set match, but it definitely is the best summer job ever, and I will be trying out when I’m 14!